Botox consists of purified proteins produced by the Clostridium Botulinum bacterium and works by temporarily reducing the contractions of the muscles and reducing the appearance of the dynamic wrinkles and lines. Botox treatments in Princeton NJ are typically administered between the brow (glabellar), to treat forehead wrinkles, wrinkles around the eyes (crows feet), bunny lines and neck and is a proven treatment option for severe underarm sweating. It takes 3-7 days to show results and typically lasts for 3-4 months. We offer Botox Injections and Botox follow up treatments in our Medical Spa in Princeton, New Jersey and surrounding areas. Please contact us for assistance. 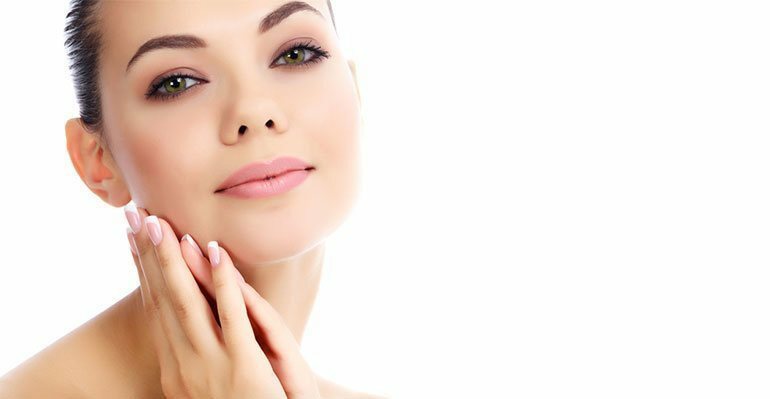 Who Is a Good Candidate For Botox in Princeton New Jersey? People who are best suited for Botox in Princeton NJ treatment are usually between the ages of 25 and 65 years of age. The reason this age range exist is because some people are too young to receive the treatment, while others may be too old. Although you are welcome to have Botox even after the age of 65, the likely hood of the treatment being successful is greatly reduced. Fortunately other treatments are available for those who are over the age of 65. Any person looking to receive treatment should book a consultation appointment with a professional in order to find the best approach to their needs. Which Areas of the Body Should I Get Botox Treatments? Botox can be injected in many places on the face where lines and wrinkles are present. Most patients generally get Botox in parts of the face that have the most wrinkles such as forehead. Botox works well for these areas of skin because they are more dynamic. 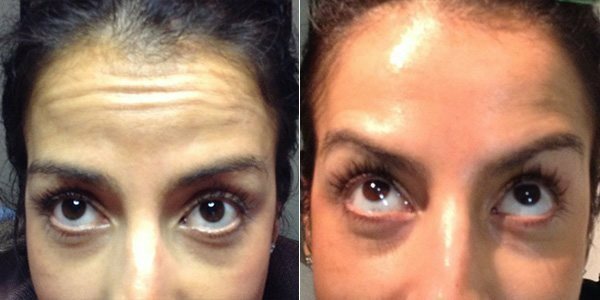 What Are The Side Effects for Botox Injections in NJ? The side effects of Botox are usually rare; however some patients have reported experiencing pain at the injection site. Other known side effects of Botox include swelling, redness, inflammation and bleeding as well. A patient may even notice some bruising around the injection areas too. When Will I See the Results of Botox and How Long Will It Last? Cosmetic Botox treatments generally take anywhere from 3 to 8 days to reach their full effect, however this process can usually be sped up by flexing your facial muscles after the injections are complete. The effects of Botox usually last between 3 and 5 months. Repeated procedures are recommended for longer lasting results. How Many Treatments of Botox in Princeton Will Be Needed? Having just one treatment of Botox is usually enough to improve the appearance of your skin. With just the first treatment your skin will begin to look younger and more relaxed, however it is recommended that you get continuous treatments for sustained results. On average a patient will receive at least 3 Botox injections along with touch-up treatments every 4 to 6 months, this way they retain their youthful look. Will There Be Any Downtime Involved After Botox Injections in NJ? Unless there are complications in the procedure, there is normally no downtime required for Botox treatments. Not all activates are safe after the injections since some may cause complications to the treatment. Activities that you should avoid are strenuous exercise, heavy lifting and other rigorous work that may cause damage. You should also be careful not to rub the injected area. When the treatment begins to wear off you will begin to notice the reappearance of wrinkles. Depending on how many Botox treatments you have had, the lines may be far less noticeable than before. In order to avoid the effects of the treatment wearing off you should invest in year round treatments. I Don’t Want to Look Like I’ve had Surgery, Should I Still Get Botox in New Jersey’s Eminence Medical Aesthetics? Botox is designed to smooth out skin to reduce the appearance of lines and wrinkles. Although the treatment does change your skin in this aspect, it will not drastically change how your face appears the same way plastic surgery does. With Botox your skin will look rejuvenated without making you look completely unnatural. Plastic surgery comes with a large list of risk, considering it is an invasive procedure. With plastic surgery the skin is pulled tightly over the bone, and then cut to produce a firmer appearance. This process is risky since there are many other factors involved. The recovery time for plastic surgery can last for weeks, and sometimes months. Botox is much safer than plastic surgery because it is non-invasive, and requires no recovery time. *Results may vary. Photos are of actual patients.